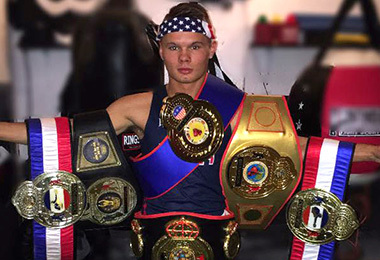 Eighteen year old amateur star Chasie Nelson from Mansfield, Ohio, who is one of the best amateur boxers in the United States today, stamped his signature on a contract to join PROBOX Management. As an amateur fighter, Chasie was in big tournaments, among them the National PAL Champions – World Open Champion – National Jr. Golden Gloves. And in other tournaments, Chasie picked up the following titles: 4 x Arnold National Invitational – Ohio State National Invitational – Silver Medalist at National Jr. Olympic.